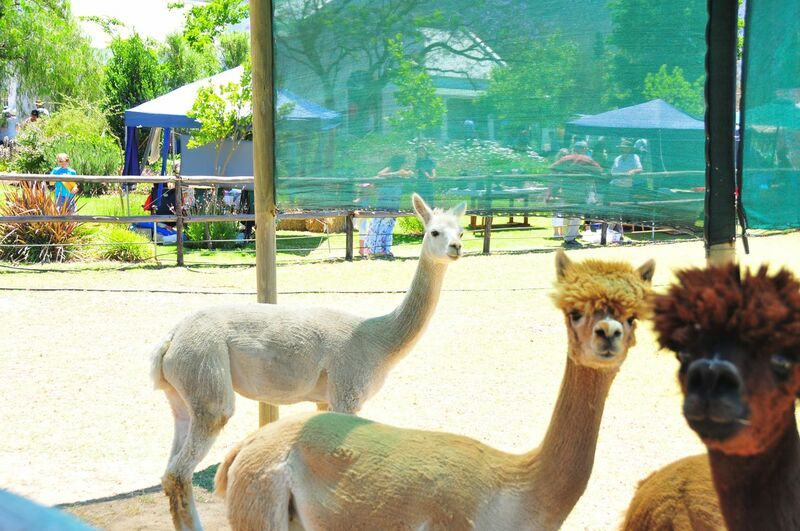 Colleen had diarized the Villiersdorp Alpaca Open Day on Sunday. A good opportunity to give Michaelene and Gary an outing and for ourselves an excuse for a little excursion into the countryside. 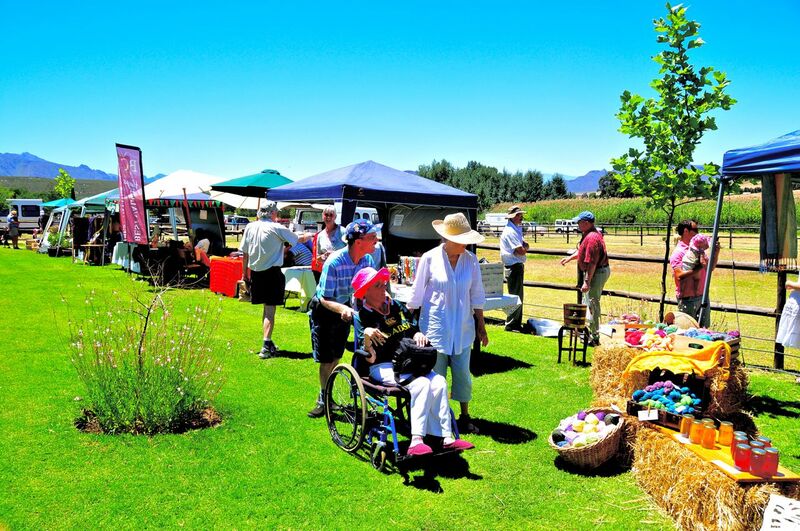 Typical South African country craft market scene. Quality girl talk here. 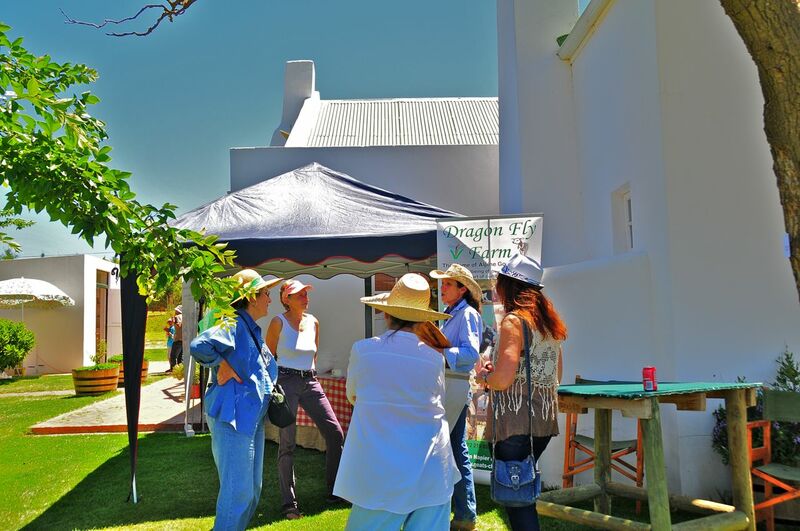 The two power ladies at the back are running an organic mixed farm, specializing in goat milk cheeses. Mirror or no mirror - am I not the prettiest of them all? And see how beautifully I have been shorn, leaving me with a home-grown garment of utter quality and perfection. See?! "Man, I dig your hairstyle! 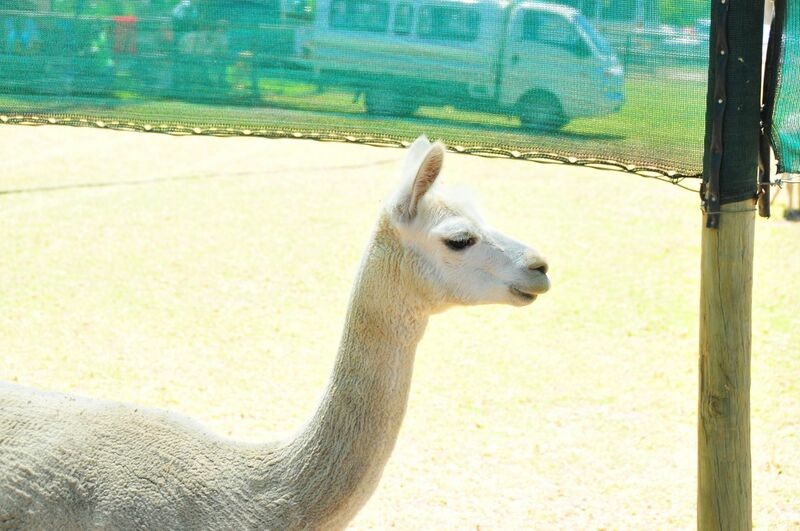 - A male Alpaca looking at Walter photographing. No spitting. They are real! Guests from the High Andes in Peru, Bolivia, Ecuador and Chile. 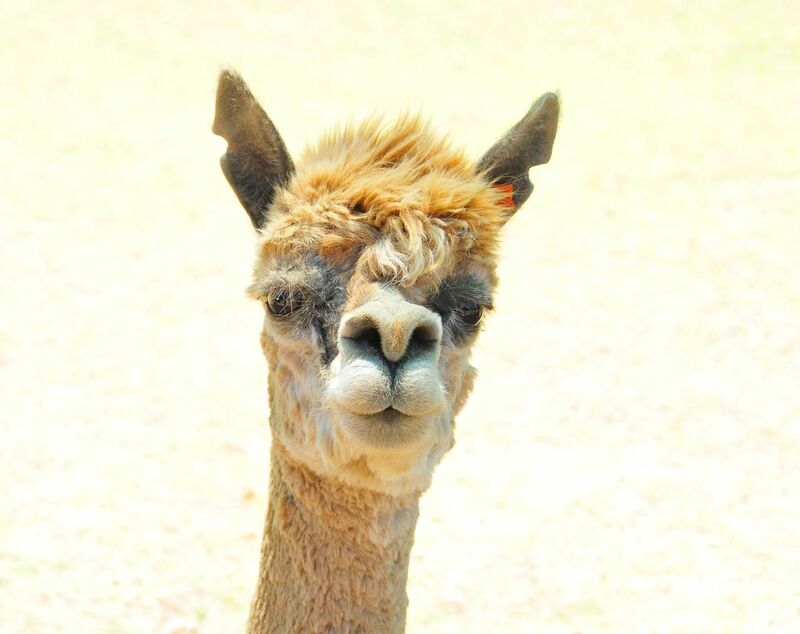 Alpacas are considerably smaller than llamas and were bred for their wool whereas the llamas served as beasts of burden. 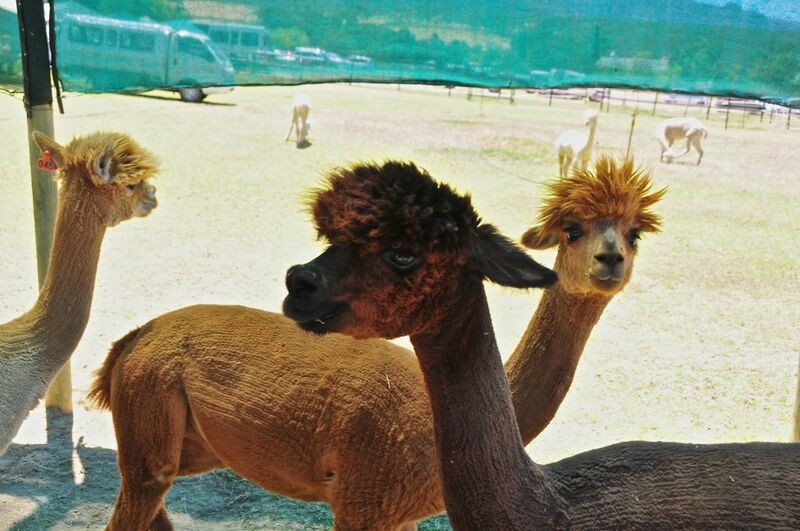 However, “Llamas, along with alpacas, … provided meat, leather, and fiber for clothing. They were jeeps, K rations, and fatigues all rolled into one – crucial military assets …” for the Inca armies (National Geographic, April 2011, p. 51.). 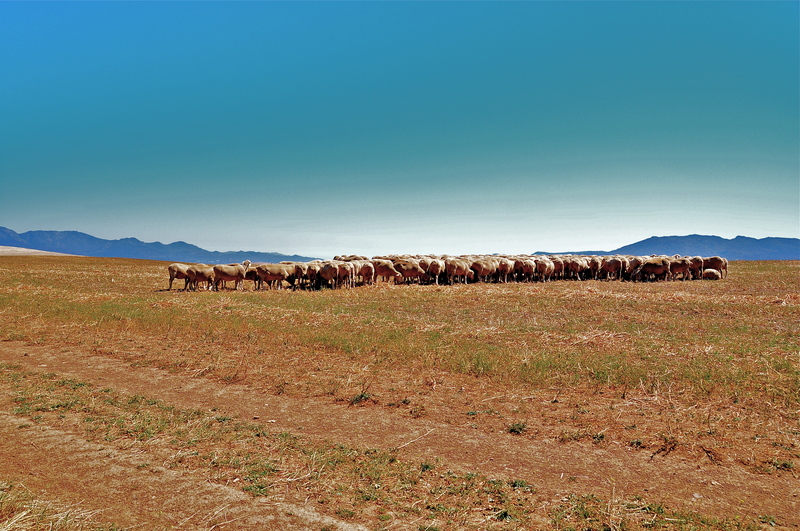 In the afternoon heat - sheep lining up for a space in each others shade. On our way back to Betty's Bay. 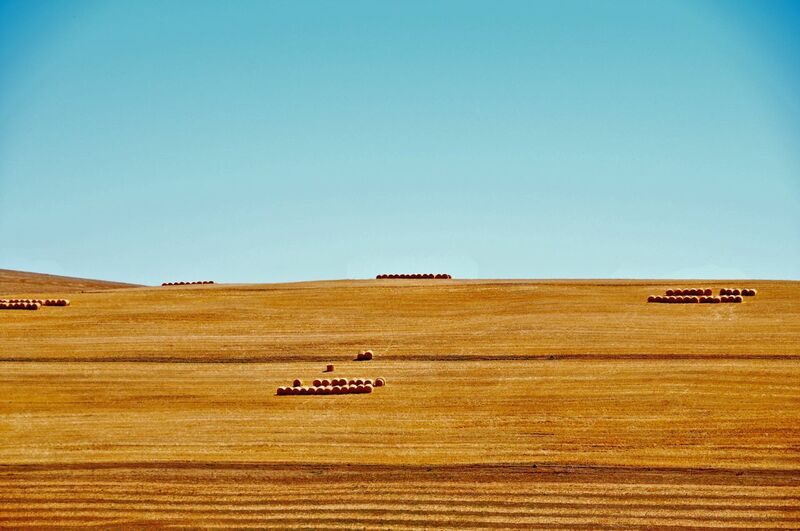 Bales of straw lined up on the wheat-fields after harvest. Walter saw a strange similarity between the bales line-up and the way the sheep had assembled. 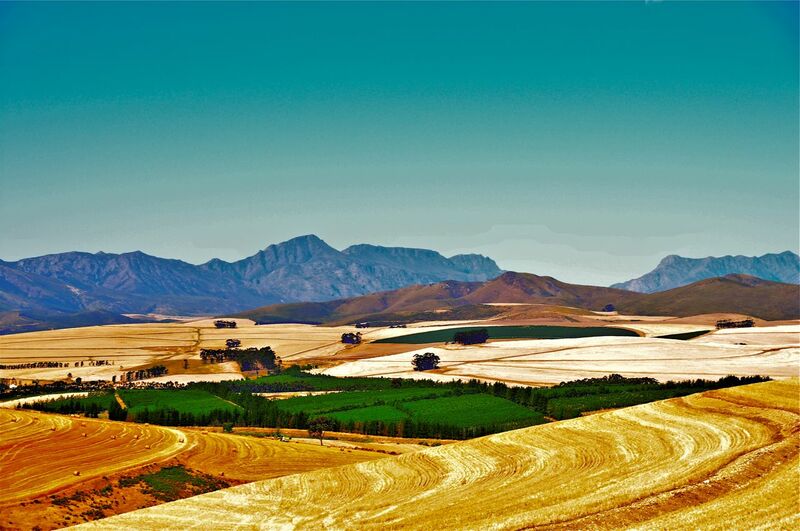 The layered and contoured landscape of wheat-fields between Villiersdorp and Caledon - accidentally somewhat overexposed and re-worked here to save an idea of the impression. 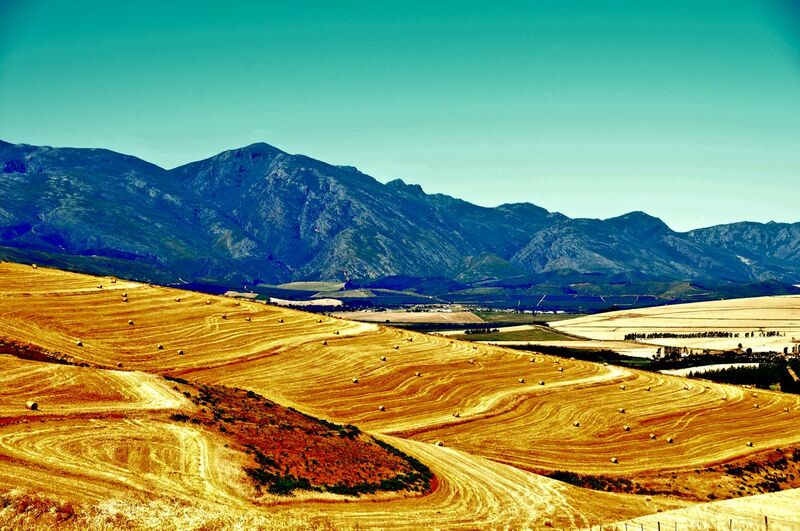 Colleen loves this part of the Overberg which dramatically changes in the seasons. Here a somewhat exaggerated rendition due to the overexposure setting on the camera. Previous PostPrevious Summertime – at long last!